This feature requires the Cloudbeds Plus plan or higher/equivalent. Currently, Split Folio is not compatible with Poster and any other apps. 6. You can add a payment, refund, charge, item etc to the folio. By default the folio which is currently opened will be selected, but you may select another folio to post the payment/refund/item to. 7. 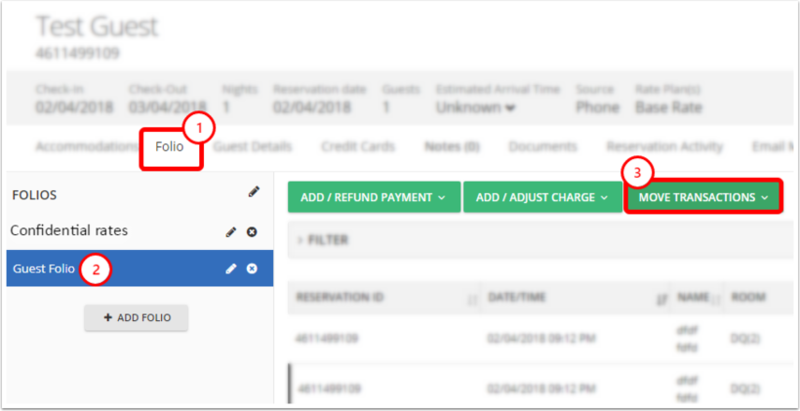 You may also change the folio configuration for the whole reservation. 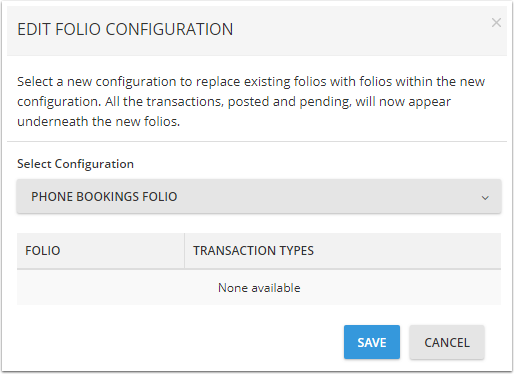 Select a new configuration to replace existing folios with folios within the new configuration. All the transactions, posted and pending, will now appear underneath the new folios. 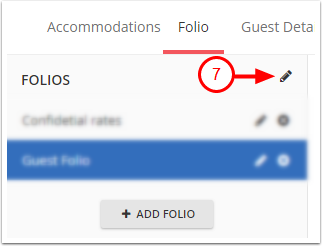 If the folios are manually modified on the reservation and then the folio configuration is changed (via the Folio Configuration page), the reservation will not be affected since it has already been manually tampered with. All transaction types will be moved to the folios specified within that configuration. 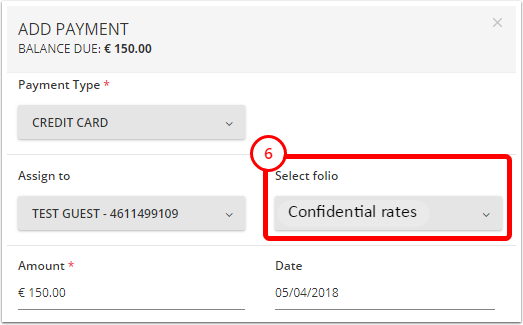 If all transaction types are not selected underneath a particular folio, then all the transaction types that are not selected should always post to the first folio. A button “Move Transactions” has been added alongside the Add / Refund Payment and Add / Adjust Charge buttons. 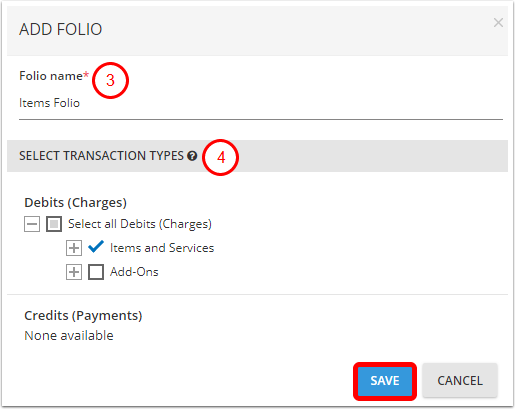 Clicking this button and selecting “Move Between Folios” will allow the user to move an individual transaction or transaction types across folios. A single transaction can be moved, or a type of transactions can be moved. The transaction date time will always remain the same. It should not change if it gets moved from one folio to another.